IT’S A NEW ART SUPPLY! They really aren’t NEW. They are just ones I’ve never really tried before. 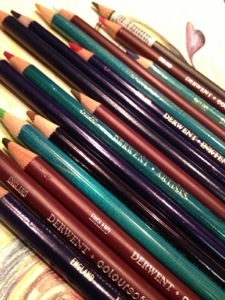 I emailed Derwent earlier in the summer asking for some colored pencil samples. They sent some my way and here is what I thought: WONDERFUL! Their rep sent me several different ones to work with. I used all of them today except the watercolor. They sent me a variety including ones that are a bit less expensive for student use. 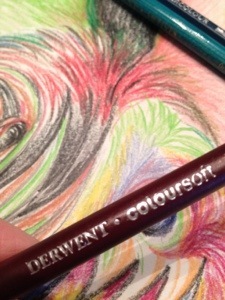 I, of course, loved, what I’m sure are the MOST EXPENSIVE ONES: INKTENSE. They are so lovely, smooth and just as they describe themselves–intense. They color just jumps on the paper once you have touched it. So nice. So, I looked into their price. 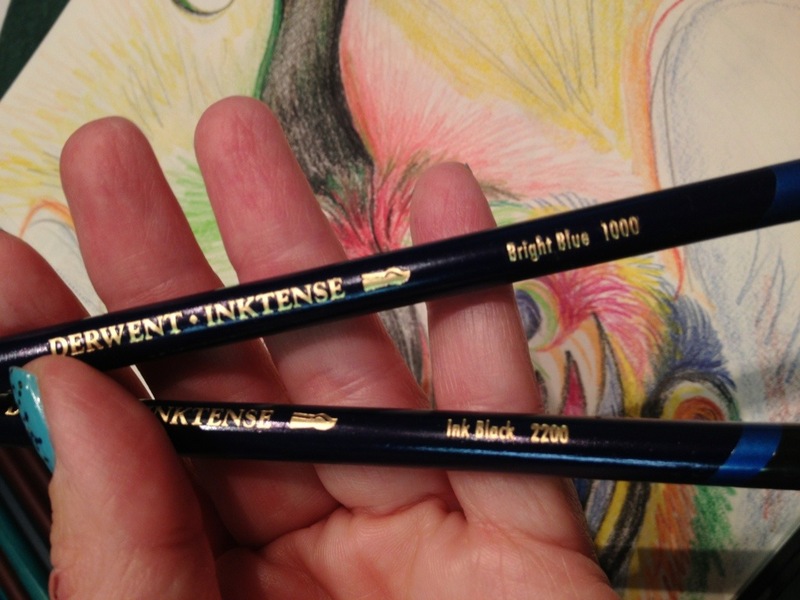 Just as I suspected, they are much better, in my opinion, compared to the Prismacolors we have been using, but, of course, not at a better price. They are a bit more, but their quality seriously is a bit more. Who knows what the art teacher will do! I’m sure I will go with the less expensive, but perhaps get a set just for those students who are really serious with their works –like the ones working on VASE (visual arts scholastic event) pieces. We will see! These were my two favorite of the day! 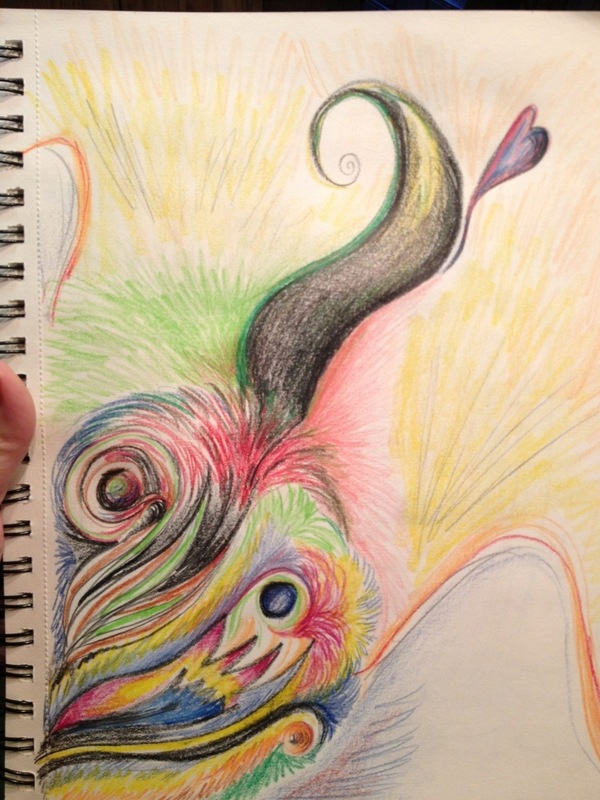 Here is my colored pencil creation. What do you see? It is of the animal kingdom, but everyone I’ve asked so far guesses it as a different one. That is what art is all about though, you see? YOU SEE what YOU want to SEE! What do you see? It is the color of new life and happiness to me. What color would grass be if we didn’t have it? Green makes me feel crisp and cool, but not COLD like today. I’m so ready for SPRING weather. It’s so cold in East Texas today. I’m ready for sun and fun. I want to plant flowers and not worry about them being damaged by crazy weather. I like when we mow the lawn. I enjoy raking and making the yard nice and neat. I love happy green weather. 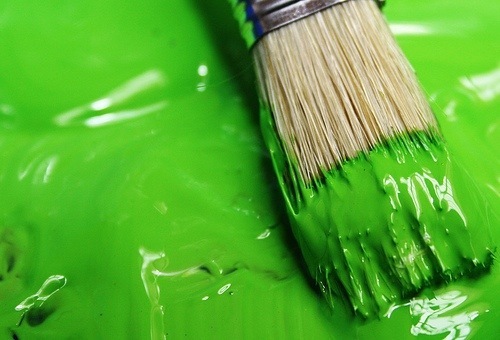 I love the color green. It reminds me of happy yard time. It’s the beginning of my favorite time of the year. Spring comes and summer follows which combined, is my most favorite 1/2 of the year. Fall is beautiful and winter is ok, but when the GREEN starts peaking out with the beginning of spring, that’s love right there. Did I mention I love the color green? I love painting my nails. I love adding COLOR to just about anything. So, I was thinking about what my blog was going to be about today as I was reviewing the pics on my phone. I came across this polish photo and thought about how much painting makes me happy. Everyone should find that hobby or something that makes them happy. My “happy place” just happens to be when I’m creating. Especially when I paint! God gave us all that special place to enjoy. When I create, I feel a special connection to Him that makes that time even more meaningful. God shows me so much through His artwork. The colors he creates, though, make me almost giddy. I know, weird, but that’s me. I so enjoy all He shows us through art and most of all COLOR. It is a bit ironic that the polish that is in the pic above is called “sinful colors” when I’m referring to color as being the exact opposite. I believe it is a gift from God!!! I’m so thankful for the gift and the ability to add color to anything. Also, I’m glad I could still type this blog while my polish dried!